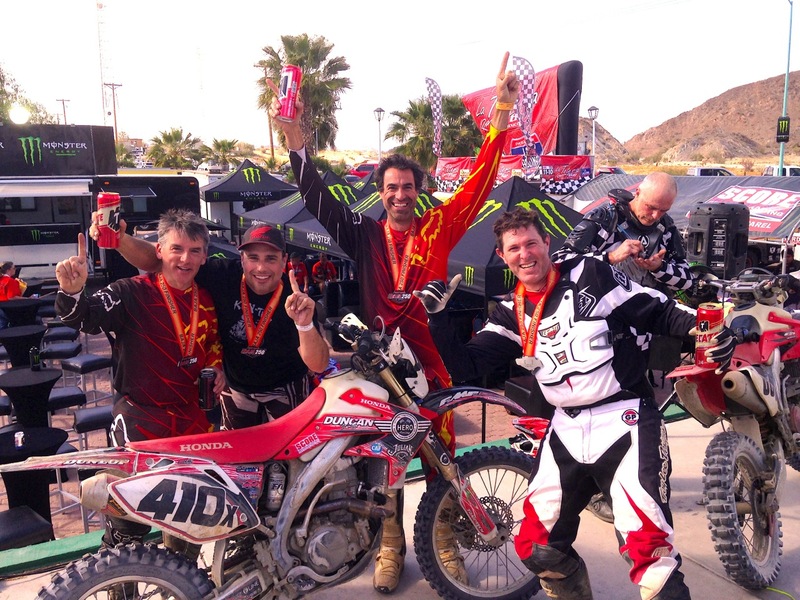 Awesome news out of the 2014 San Felipe 250 that our friends at HERO Racing took first place in the 40 Pro Class and first place in the 50 pro class. More importantly, they were able to raise enough money to buy another prosthetic for a wounded marine — making it their 6th prosthetic donated in as many races. There have been many sponsors and donations from Honda, GoPro, and a slew of other brands who see the purpose and spirit of the team’s mission, and if you’re interested in being a sponsor in a future race please do contact us and we’ll work with the HERO team to make it happen. Below is a video we helped on in 2012, showing them training and talking about the team. Check it out and follow them on Facebook to get more updates.